Foods may not cure arthritis – but they can improve it considerably. And psoriatic arthritis makes no exception. But what’s the best diet for your condition? There are so many recommendations that it’s hard to pick one. So which is the best diet for psoriatic arthritis? Let’s take them by turn. Note: These diets are effective for any form of inflammatory arthritis (including RA or gout). Also, they’re in a random order below – this isn’t mean to be a top. 1. How It Can Help: Overall, it’s one of the healthiest diets in history. Increases the production of joint fluid. Also, it reduces the risk of secondary complications: osteoporosis and high blood pressure (which are quite common in PsA). When it comes to meat – fish is the #1 choice. People following this diet don’t eat meat every day. But if you really don’t like fish or seafood – chicken is usually the second option. In case you can’t give up sugars, try to use honey instead of sugar. That could make a big difference. So it’s one of those permissive diets. That’s why you shouldn’t have a hard time following it. 1. How It Can Help: Some sources say that acidic foods are cause inflammation. On the other hand – there are alkaline foods (basically everything that is natural – fruits and vegetables). Now – do acidic foods really cause inflammation? Unfortunately, there’s no clear answer. 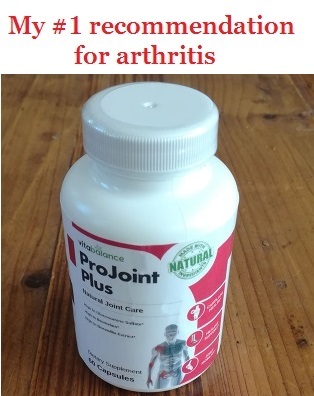 Proved to help certain forms of arthritis. Can decrease inflammation (but only partially). Sure – it won’t work for everyone. But on paper, this alkaline diet looks really promising. You’re not allowed to eat much except fruits and vegetables. Diary, wheat products and even cereals are forbidden. Coffee and alcohol also on the black list – not to mention sugar and processed meats. 4. My Verdict: It surely won’t do you bad – but this diet is really hard to follow (at least in my opinion). Besides, giving up diary products completely could cause you problems (lack of calcium or vitamin D). Now – if you’re used to a vegetarian lifestyle, I believe it’s worth trying. But otherwise, it would be hard to follow more than 1 week. 1. How It Can Help: First of all – that’s not a real diet, so you won’t find it under this name. But basically – it promotes whole-grain foods. Grains contain a lot of fibers (which can reduce inflammation). If you consume lots of sugars daily – adding grains to your diet will restore the balance. You can also eat oatmeal for breakfast and brown rice for dinner. It’s not a top recommended food – but it’s not forbidden either. Try to eat meat 2-3 times per week, and choose fish or chicken if possible. Also – everything that is organic or natural is allowed. 4. My Verdict: It’s another easy to follow diet – because it doesn’t require giving up any foods. Yes, processed food and sugars aren’t recommended – but that’s available for almost every diet. So in my opinion, this kind of whole grain diet is decent to follow. 1. How It Can Help: Now – That’s another diet that doesn’t exist with this name. Production of free radicals increases with age. It leads to cartilage damage, inflammation and skin aging. Now – there was no study on antioxidants and PsA. 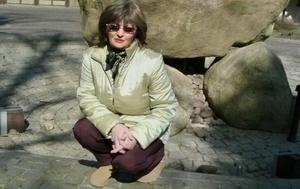 But there are some conducted on RA patients. The results were very positive, so you can hope for the best with this diet. Now – that’s just a short list, as there are many others. If you want a tip – most fruits colored in strong shades contains large amounts of antioxidants. However – not all herbs contain antioxidants (though they have other benefits). Among the ones that do, nettles are the best example. However – you won’t have great results if you continue to eat trash (besides antioxidants). So I recommend giving up on red meats and fast foods. 4. My Verdict: There are 90% chances that an antioxidant diet will help you on the long term. This diet lets you eat anything (as long as your antioxidant intake is higher). So you don’t even have to change much in your regular diet. Thing is – many people are allergic to gluten and have no idea about it. That’s why so many cases of arthritis can’t find a cure. If you’re allergic to gluten, this diet will surely help you. However, you can’t know if you’re allergic or not – unless you give up on gluten. So basically – this diet can help you understand if it’s gluten behind your pain or not. If it is, giving up every food that contains it will change your life completely. It’s been a huge increase in these products lately, so it shouldn’t be that hard. But obviously, it won’t be too easy either. 3. What To Avoid: Cereals, bread, pasta and everything that contains gluten. Most of these products above contain gluten – BUT there are some recipes made for gluten intolerance. So you can look for those. 4. My Verdict: A gluten free diet is surely not easy to follow. you would have to give up most of the tasty products. But it has one major benefit – to let you know if gluten has anything to do with your pain. For one week, I think it’s worth trying. After all – the results could be faster than with any other diet. 1. How It Can Help: This diet has great results when it comes to losing weight. So what exactly can Paleo Diet do for arthritis? It promotes eating like “cavemen” did centuries ago. None of the people back then suffered from inflammation or joint pain. So that’s what the Paleo diet counts on. Basically – it recommends eating simple foods and giving up more “sophisticated” ones. According to its claims, this could decrease your arthritic inflammation. To be honest – it does make sense, so Paleo seems like a diet worth trying. Now – the Paleo diet promotes eating fresh foods – but I do recommend you to cook the meat (you can use olive oil). 3. What To Avoid: Grains, beans and every vegetable or fruit that is considered domestic. Obviously – fast foods, processed aliments and sugars are also forbidden. Eating simple is hard in these days – that’s why it seems such a difficult diet. But if you’re willing to give it a try, you could start by giving up grains for one week and see what happens. In fact, this diet is made pretty much for people with arthritis. Focuses on foods that reduce the swelling from your body, including your joints. It also works great in relieving the pain. But even so – it won’t cure psoriatic arthritis completely. It’s an important step in treating it – but you should associate it with other treatments. 2. What To Eat: Fortunately – it’s not very restrictive. There’s also fish (especially salmon), flax seeds and several other herbs. What To Avoid: Just like in most diets from above – processed foods and sugars are a big NO. You may also give up on red meat, alcohol and smoking. My Verdict: It’s a must try for any type of arthritis. I’ve tried it for my RA and it did help. Besides – there are no real restrictions other than sugars and fast foods, so it’s not a restrictive diet. My Verdict – What’s The Best Diet For Psoriatic Arthritis? It would probably be the #7 Anti-inflammatory diet. That’s because it’s the most specific for this condition. However, I think you would get the best results with a diet that combines several aspects, from several of these diets. What To Eat: Fish, green vegetables, anti-oxidant fruits (like citrus, berries, cherries), seafood, whole-grain cereals, natural milk products. What To Avoid: Sugar and processed foods are pretty much what every diet repeats. So I would recommend giving those up – together if red meats and alcohol. However – the recipe from above should help your pain and decrease your flare-ups (on the long term). Don’t expect to see an improvement from the first days, because that won’t happen. Instead, try to follow this diet for one month and you may start to notice a change. My Solgar Curcumin Review – Is It So Amazing? Wow, I looked for a diet guide like this all over the Internet. I have a diagnosis of psoriatic arthritis and I always thought food can help me. But I didn’t know what exactly to eat and what to avoid. You explained really well, Heather. I’m not american but I could understand the basic ideas of each diet. I want to go gluten free for some time and to see what happen. Thank you very much for the info. Hi Eduardo, thanks for your words, it’s really good to help. Yes, I think the gluten free diet is a great way to start. If your pain decreases in a week, you could be allergic to gluten and that could be producing your extra pain. If nothing happens, you can continue with another diet and see if anything changes. Thank you for the great post. I tried the paleo diet some time ago but i couldn’t follow it for more than one week. I saw the benefits short after, as i was feeling more energetic and had much higher moods. But i didn’t have any joint pain back then, and now i do. So i would like to take it up again, but i’m not sure i could resist more this time. Do you think it’s really worth the energy? From what I read, it’s not your top recommendation. Should I try the anti-inflammatory recipes then? Hello Kristy, the Paleo diet is one of the hardest diets, in my opinion. There are so many things you can’t eat that it’s hard to find something “decent” enough for every meal. So if you say you struggled with it in the past, I wouldn’t advise you to try it again. Its main rules haven’t changed since then, so it’s not any easier today. When it comes to relieving pain, it’s not better than the anti-inflammatory diet. The last one is a lot easier to follow (it allows you to eat a lot more foods) and it’s much better for joint pain. It’s focused on reducing inflammation, which is essential. On the other hand, the Paleo diet doesn’t have any similar purpose. It was created to improve general health, not inflammation. So that’s why I suggest you to try some anti-inflammatory foods. You didn’t mention how severe your joint pain is and if you have psoriatic arthritis or not. If you do, I recommend you to try out turmeric, because it’s going to make miracles, most likely.